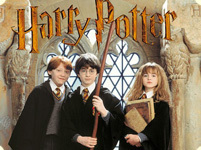 For your child’s birthday party at home or at school we recommend our best show-program «Wizards of Hogwarts». This program was created on the bases of the popular books by J.K Rowling , «Harry Potter and the Philosopher's Stone» and «Harry Potter and the Chamber of Secrets» . Two English speaking actors presenting Hogwarts Professors ( Minerva McGonagall and Professor Snape), host the party. Our 2 or 3 actors (Snow Maiden, Clown Claus/Gnome ) organize the Christmas Children party. Party includes magic tricks and a lot of funny competitions for children. Actors and children sing a popular song: Song „Twinkle-twinkle-little-star“ After this song Snow Princess and Santa Claus present gifts for children. 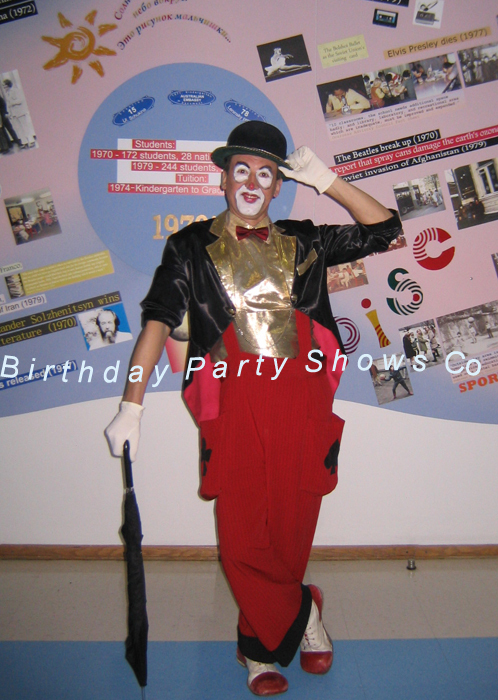 Unigue clowns are the best gift for your child on birthday. They amuse children with funny juggling and tricks, play different games. You will enjoy this fun-show. All the childrens will get a lot of fun on this party! 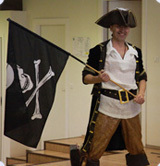 Pirates is a popular and favourite theme of the boys of any age like well know films „Caribbean pirates“. During the party children-pirates together with the Captain Roger go on a sea trip to look for treasure to the Caribbean islands. It will be a real adventure! 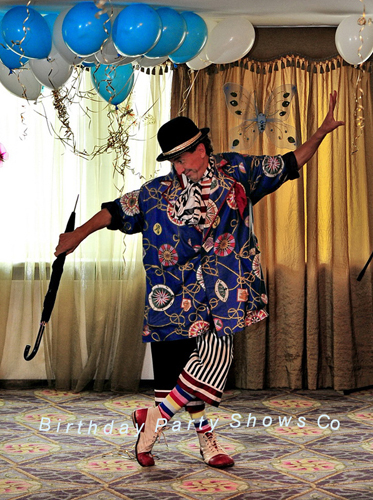 At this birthday party children will see Captain Roger's fire-show and magic tricks, they will try to find out an old pirate"s map, and open many chest locks to get the treasure. At the end of the party there will be a real pirate fiest in honor of the hero of the day. This is fantastic show with the magic, tricks and fire-show. Halloween is the autumn holiday of funny pumpkin and tne ancient Celtic festival of Samhain. 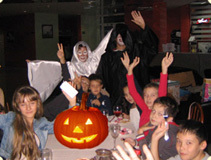 Halloween activities include trick-or-treating, ghost tours, bonfires, costume parties, carving Jack-o"-lanterns, fortune-telling game, reading scary stories and watching horror movies. Halloween is celebrated now in the United States, Canada, Ireland, Puerto Rico, Japan, New Zealand, Australia and the United Kingdom. Elements of the autumn season, The carved pumpkin with a candle inside, is one of Halloween's symbols has another name as a jack-o"-lantern.